I’m pretty sure we have all just witnessed a tipping point in Jacksonville’s history! The Jacksonville Jaguars making it to the AFC championship game against the Patriots had most of the nation cheering for us. But the best part was that it brought our community together as winners and gave us civic pride! Our City has suffered for decades with an inferiority complex and our own citizens were not proud to say they were from Jacksonville. I truly believe this all has changed. We finally have a winning attitude and with all the momentum going on this will pay huge dividends. We have lots of recent successes in our city and projects finally moving forward. Downtown, the Cowford Chophouse was completed and the Barnett and Laura Street Trio are finally under construction. Vestcor and Core have residential under construction. There are numerous multi-family projects being constructed in all areas of the City. Ikea just opened! Costco is opening another location on the Westside. 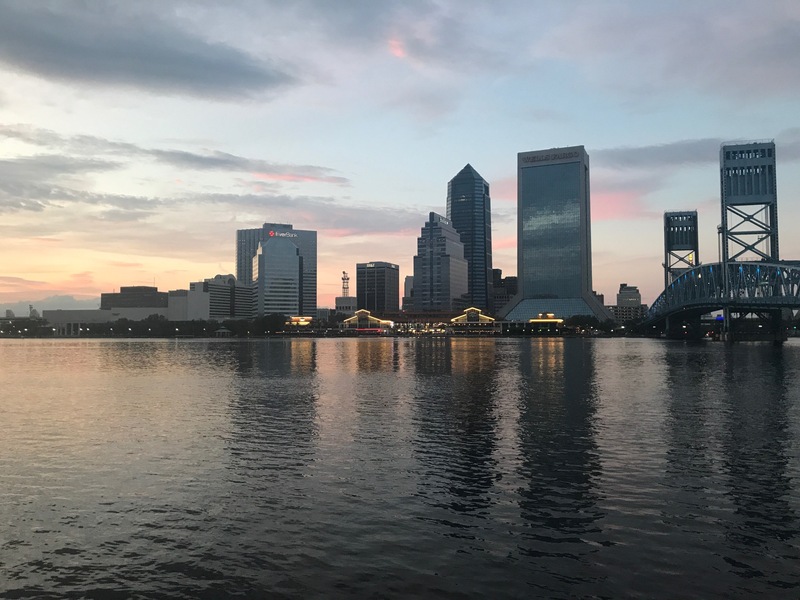 Look at all the rooftop bars we now have in Jax! I could go on and on. This is such an exciting time to be part of the transformation of Jacksonville! The largest impacts will be on the multifamily market due to reduced tax incentives for home ownership. Corporate tax rate reductions should make it more attractive for multinationals to expand U.S. operations. Profitable retailers will see the largest benefit from lower taxes, which will impact industrial (expansion) and retail space (selective upgrading). All REITs and many/most partnership investors should be eligible for 20% deduction on pass-through income, boosting after-tax returns. There is renewed confidence in the economy, higher levels of real discretionary income are anticipated, and stronger global growth is expected to support U.S. economic expansion. For the fourth quarter, job gains averaged 204,000 per month. For all of 2017, U.S. firms created nearly 2.1 million new jobs. 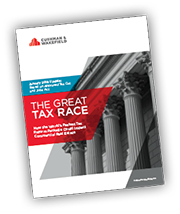 In addition, tax reform should bolster the economy, translating into stronger CRE fundamentals and supporting market activity. 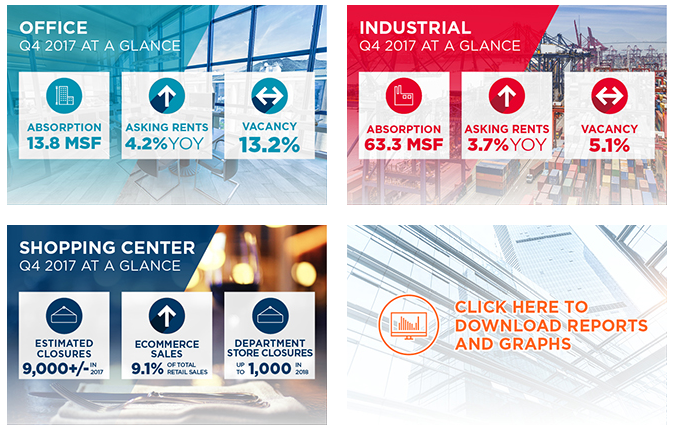 Read Cushman & Wakefield’s analysis of 2017 fourth quarter commercial real estate results for office, industrial, and shopping center sectors by clicking on the infographics below.